Photo spuriously purloined from Olive Garden’s website. Shhh! Saturday: We joined them the next day for lunch at Olive Garden. Well…more like Brunner. Breakfast/lunch/dinner combined. 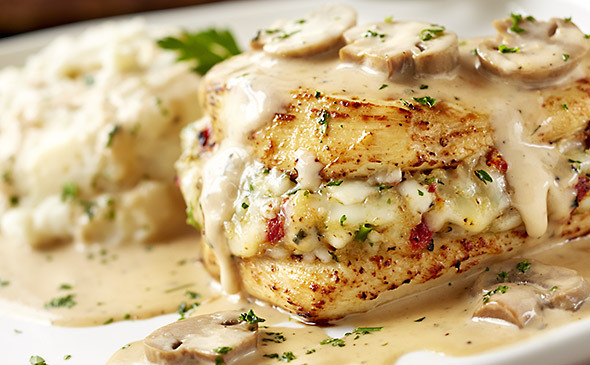 I had the stuffed Chicken Marsala, which was close enough to a “healthy meal”. I will admit, however, that I did have the Minestrone and a breadstick. I’m strong, but not *that* strong. It was a sodium-laden day, though. We had popcorn at the movies later. Oops. Sunday: No picture. Not that it was very interesting…cheesy scrambled eggs and bacon. Mmm. Bacon! 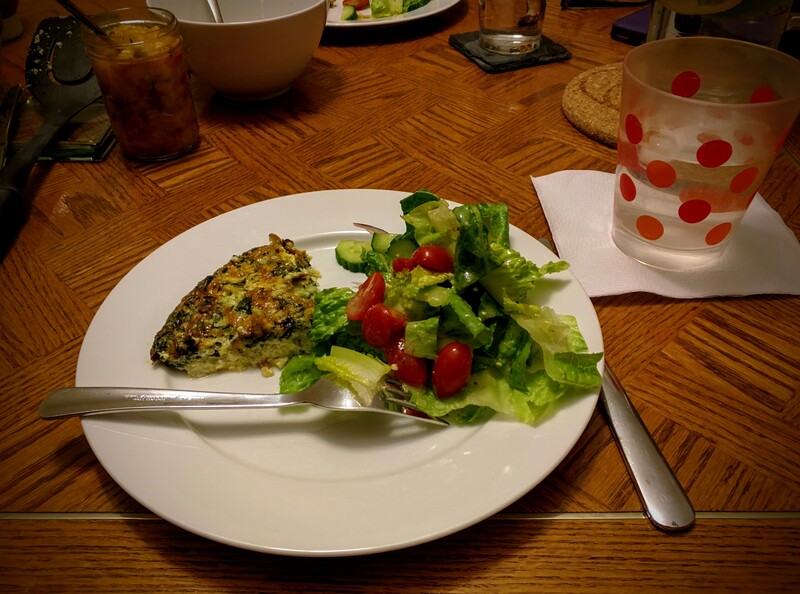 Monday: The Husbeast has a really great meatloaf recipe that he’s tweaked to have a lower glycemic impact on us. 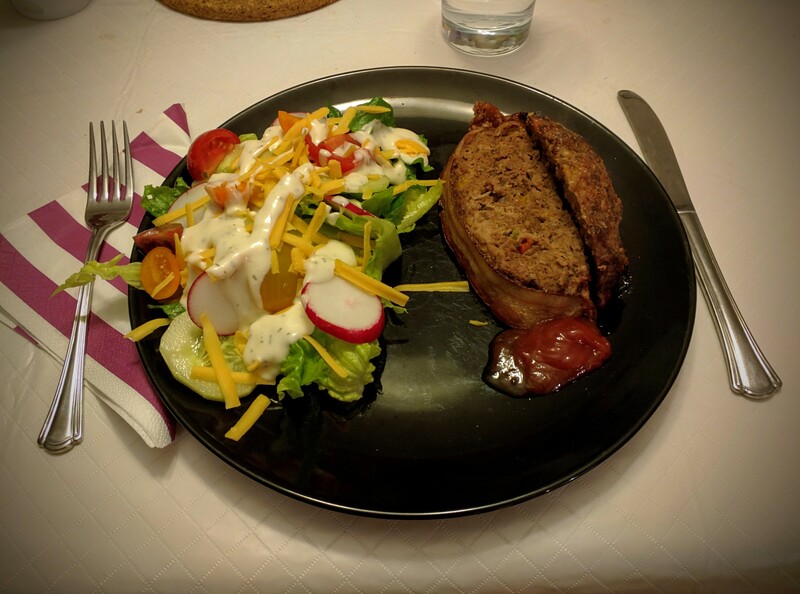 It’s quite possibly the best meatloaf I’ve ever tasted. Even if I do dip it in a tiny amount of ketchup. Some old habits die hard. Tuesday: My preferred method of roasting a chicken is to give it a spice rub and sit it on top of a half-can of beer for 1.5 hours. Beer can chicken makes the bird nice and tender on the inside, with a crispy skin on the outside. 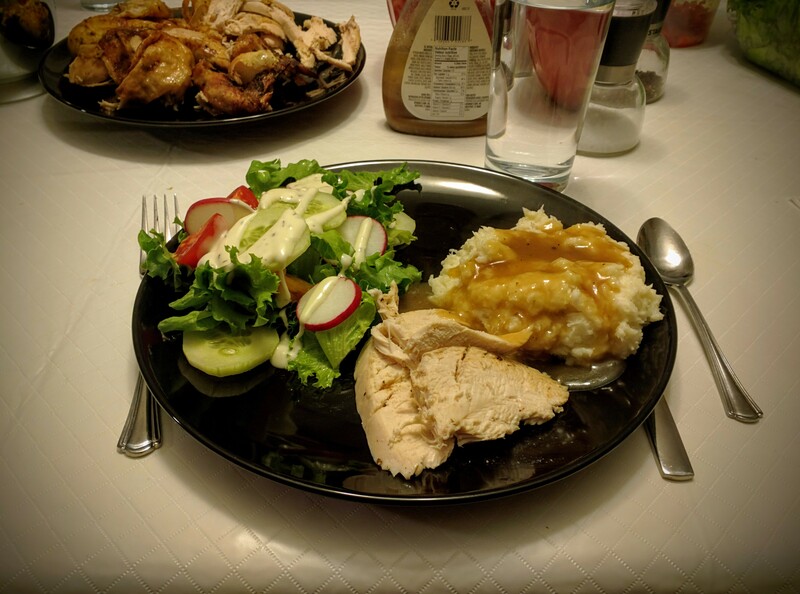 We served it with creamed cauliflower in place of potatoes, and the ever-present salad. 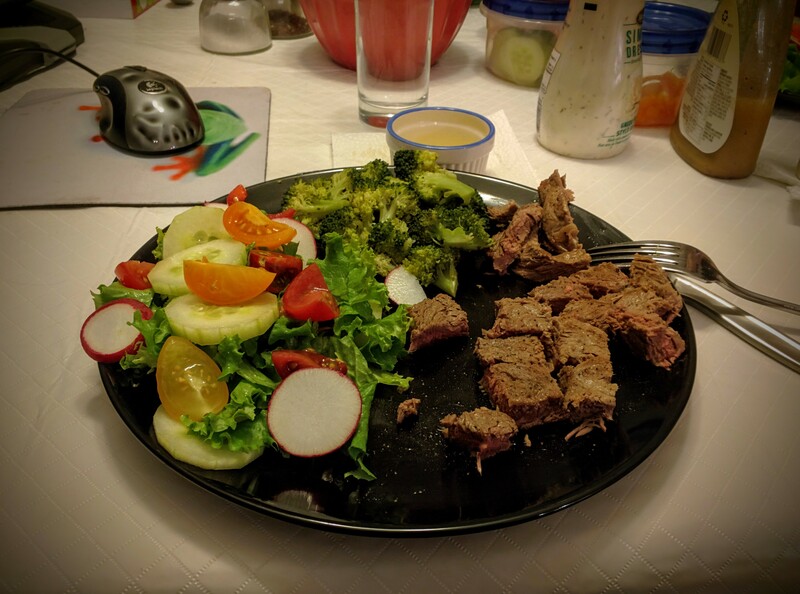 At any rate, the Husbeast used a new Steak Spice we picked up at Silk Road in Inglewood. Tasty! Thursday: We bought a really nice Memphis Pork Rub a couple of weeks ago when we were at Silk Road. Boutique spices, yes, but they have an excellent variety. I brined the chops for a couple of hours, then rubbed it down with some olive oil and a little of the rub. A little goes a long way! 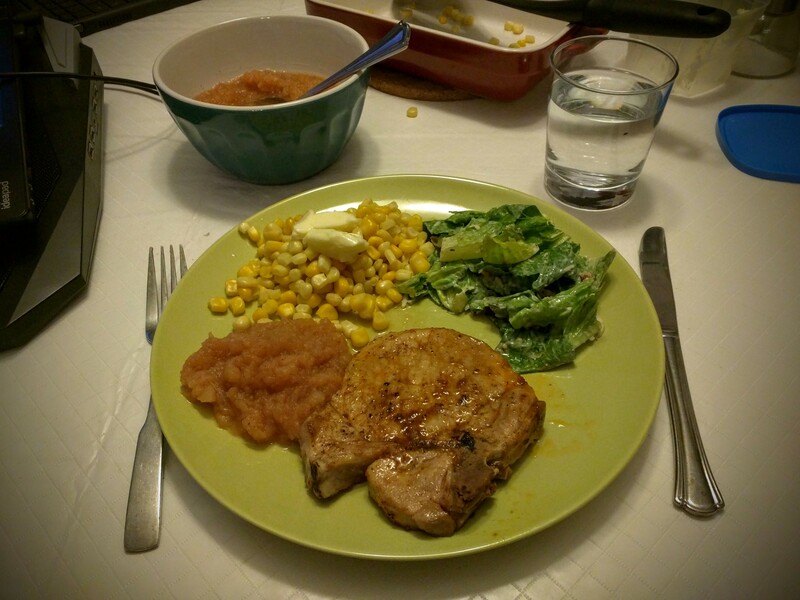 I also made a small Caesar Salad, nuked some frozen Peaches & Cream corn niblets, and made a home-made apple sauce. Zero added sugar as there’s more than enough in the apples themselves. 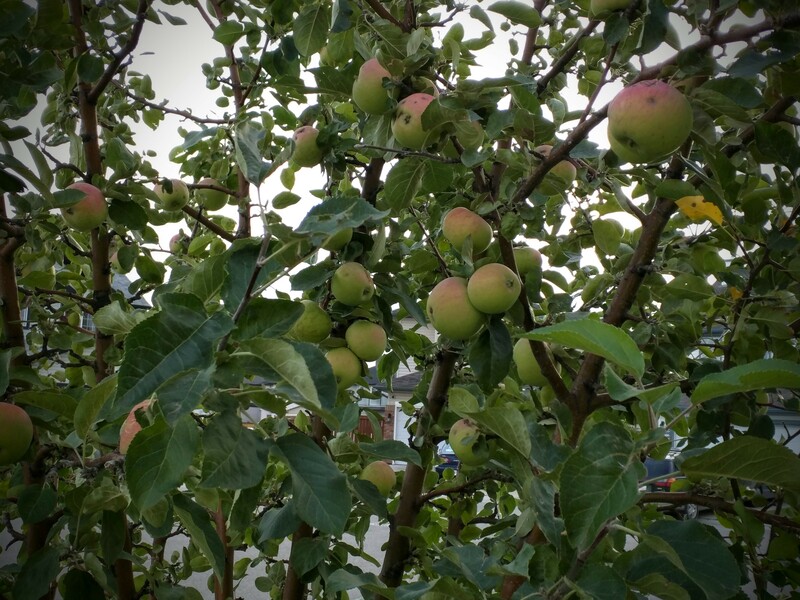 The apples are from the tree in our front yard, by the way….glad that I was able to have a taste of them this year! Apples in their natural habitat. Our front yard. What’s everyone else digging into these days?